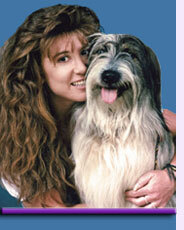 Promoting worldwide pet rescue, lifetime commitments to our pets, and the removal of limiting beliefs. Due to the housing changes throughout the country (which is soon to have an up-turn), volumes of very desirable pets are being given up on a daily basis. Our mission is to help owners find options, so they'll keep their entire families together. But we urge everyone to rescue from their local shelters and tell others about the adoptable pets at risk of being destroyed. 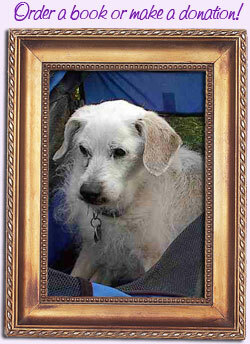 In the Southern California area, please visit LAAnimalServices.org. 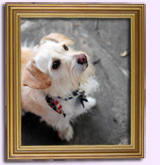 For the entire country, please visit PetFinder.com to meet adoptable pets needing homes. Over the years our founder shifted the focus of the charity to reflect what was needed and not being done. With her vast experience caring for sick and senior pets — it's not uncommon to find dogs in their 20s living with Randi — she began her next mission... finding non-invasive ways to correct and heal the body when vets had lost hope. Randi is very excited about one of the most recent products she's discovered, the Iyashi Wand, one of the original, authentic zero point energy wands and the first full spectrum all purpose healing tool. From reducing pain, increasing energy, detoxifying your body to improving sleep, the Iyashi Wand allows you to restore the innate balance to your body and energy field. Randi is excited to use it on all her health challenged and geriatric friends along with Nikken's world reknowned magnets used for Emotion Code and Body Code work. For this and other healing products, contact Randi. 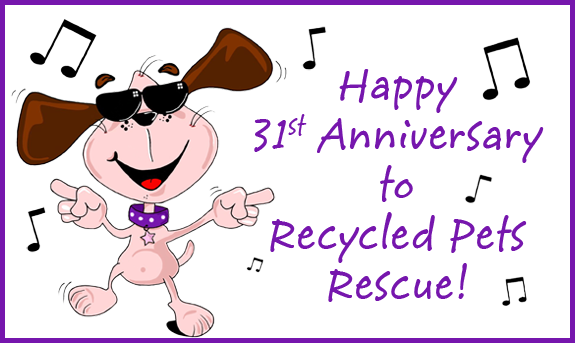 Your orders benefit Recycled Pets Rescue! For those of you who missed Randi on RuPaul's Drag U or Thom Filicia's Tacky House, we have copies available of each show with your minimum donation of $30 per DVD copy. Please email us or phone us at 818-986-0201 to order. 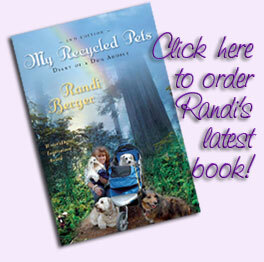 The second edition of Randi Berger's Inspirational Award winning book, My Recycled Pets: Diary of a Dog Addict is out of print, but we have copies available through us directly! It's been updated with new chapters and an "out of this world" true ending. To order, go to the Books page. 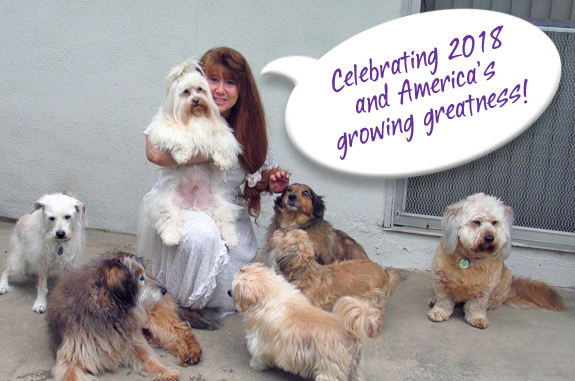 Receive a personally autographed copy of this Writer's Digest Inspirational Award-Winning Book for a contribution of $100 or more to Recycled Pets Rescue! Almost sold out! Limited copies are still available. From being hit by a car as a stray, resulting in a concussion when I first rescued you in 1988, to being written off by vets throughout your entire life, you created a reality for yourself that baffled the most brilliant of minds worldwide. Not even a fall down a 50-foot cliff at the age of 19 could put a dent in your limitless belief systems... or leave a scratch on your resilient body. You triumphed over every fear-based negative thought that the human race created, proving to us all by miraculously resurrecting yourself at the age of 20, that even death is a choice of our own making. The legacy you leave behind after 21 years — wisdom, peace and unlimited beliefs that made the impossible possible — is guaranteed to raise the consciousness of our planet. The most sacred honor of my life, was to have been the one chosen as your partner and guardian. In exchange you have been my greatest mentor. ...But the legend lives on! Perhaps another Resurrection? It's a mystery to all of us. The return of Skooter-Boo 200 IQ! We want to thank Red Barn Pet Products, HomeoPet, and Evolution Pets for their gracious donations. These are all great companies, offerering terrific products. Their donations help us help our pets. With over 10,000 unwanted pets lives "recycled" since 1987, along with the creation of the first mobile dog adoptions in her area, Recycled Pets Rescue founder, Randi Berger, is on a mission to inspire others to remove all limiting beliefs that are preventing them from living their dreams. Through her potent mixture of humor and spiritualism, Randi's writing and speaking is slowly becoming embraced by our country, by giving people hope, strength, and the insight to create miracles in place of darkness. Randi has been speaking for over 20 years, has been heard on over 2,000 radio stations, holds book signing events and most recently has been featured on Reality TV. Check out her Appearances page. You may contact her about booking her at 818-986-0201.